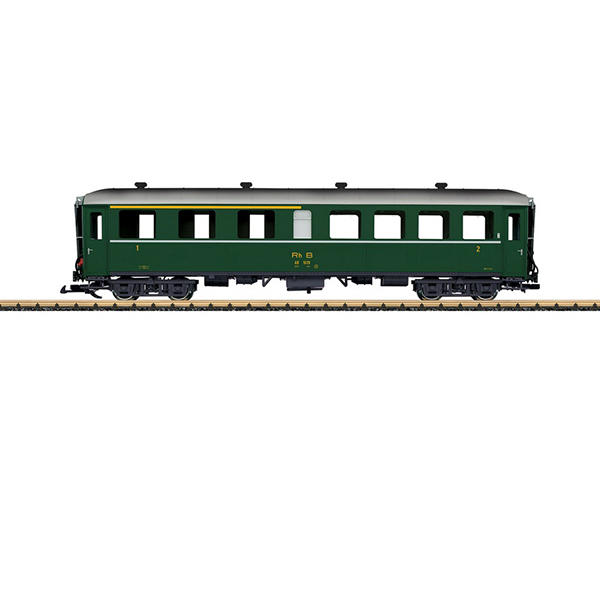 Product: This is a model of an RhB express train passenger car, 1st and 2nd class. The paint and lettering scheme are prototypical for Era IV. The car has many separately applied details, and the doors can be opened. It also has complete, finely detailed interior details. The car has factory-installed interior lighting. The car has metal wheel sets. Length over the couplers 66 cm / 26". This car goes well as an addition to the RhB steel cars previously delivered such as item numbers 32520, 32521, or the 30521 dining car.